Known as the Changi Airport, the Singapore International Airport is one of the most emblematic buildings, where the elegance of Bateig Natural Stone can be found. Despite its age, the Changi Airport is characterised by its modernity and it offers a wide variety of services to the public, from restoration amenities to leisure activities. Guided tours, cinemas, children’s play areas and, even, a butterfly garden are some of the incredible options provided by this fascinating place. In 2006, Bateig took part in the challenge of shaping the inner design of a brand new terminal (Terminal 3) for the Singapore Airport. Woodhead Wilson, interior designer of the project, bet on our materials, which were worked meticulously so as to offer a completely original design, based on the use of different textures and stone finishes. To address this project, we took advantage of the technical and architectural possibilities of Bateig fantasia, Bateig Beige and Bateig galaxy. These materials allowed us to cover the walls of the place successfully with amazing artistic finishes, employing an average of 450m2 of natural stone to create the new decoration. Design of one of the main walls, which was covered with Bateig natural stone at the Changi Airport. 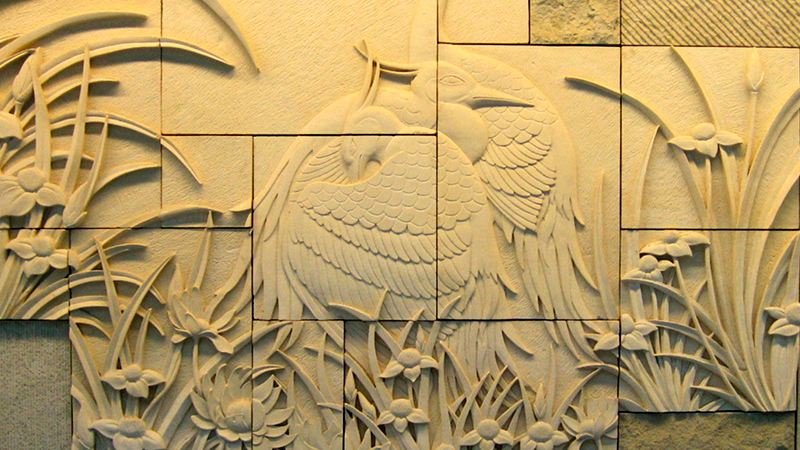 The versatility of Bateig Natural Stone allowed the representation of natural motives characteristics from the Asian culture such as cherry trees, cater lilies and herons. The outcome was a unique space, where different colours and textures were combined to emulate the spirit of Singapore city. 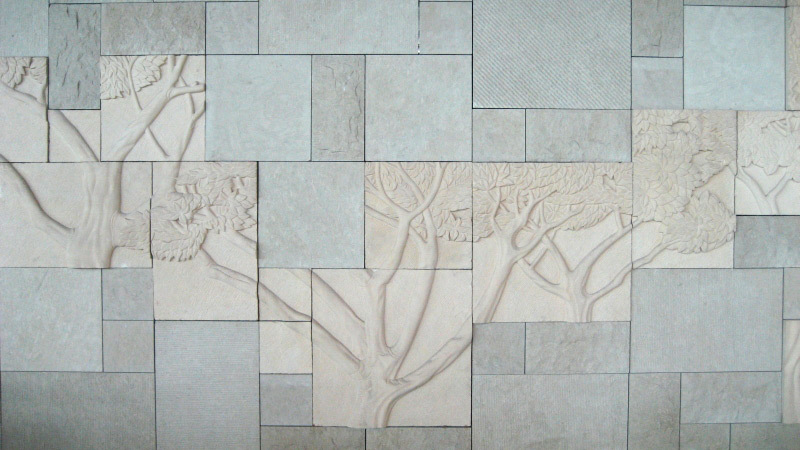 Asian natural motives engraved in Bateig natural stone. A modern and restrained result for the best airport of the world in 2015 (honoured for three consecutive years), also considered the most important hub in the Asian south-east area, with more than 55 million passengers within a year. This is, definitely, one of the most emblematic international projects we have had the opportunity to develop.